PRODUCT DESCRIPTION: This lightweight orthosis is designed to comfortably restrict motion of the basilar joint while allowing unobstructed motion of the fingers and wrist. 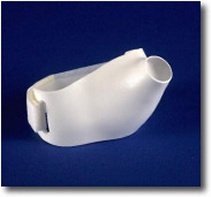 For a more custom fit the splint may be trimmed using cast scissors and formed using a heat gun. One cotton stockinet is included to provide a more comfortable and hygienic interface.